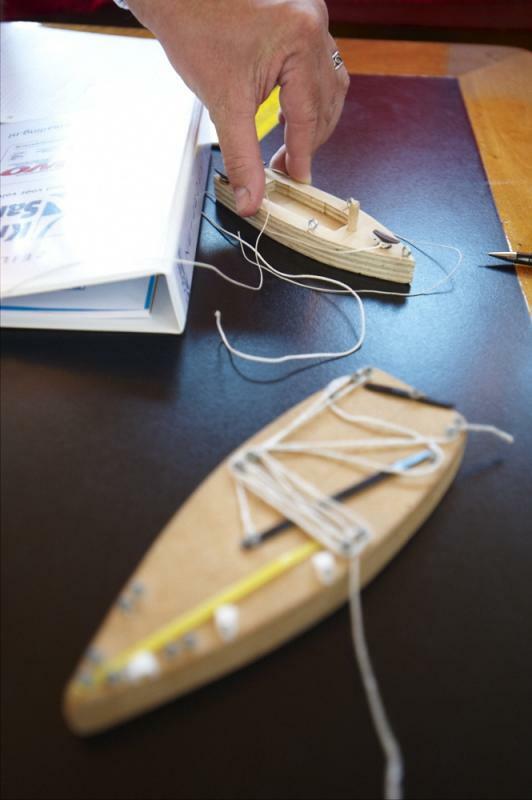 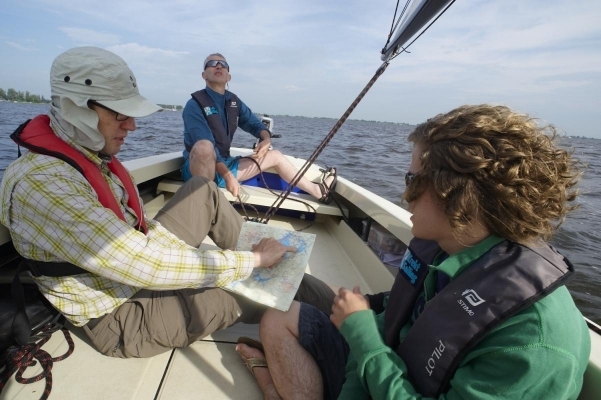 Das Reportage-Thema: mit der Familie segeln lernen. 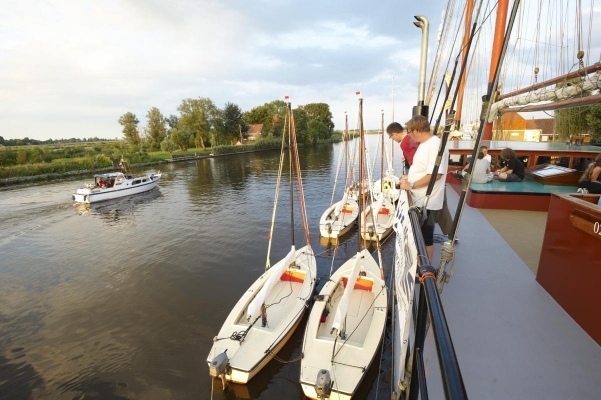 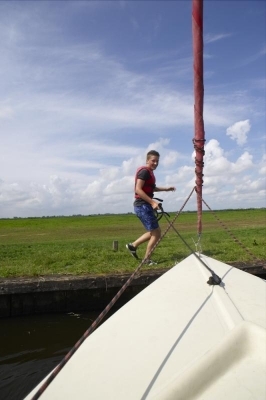 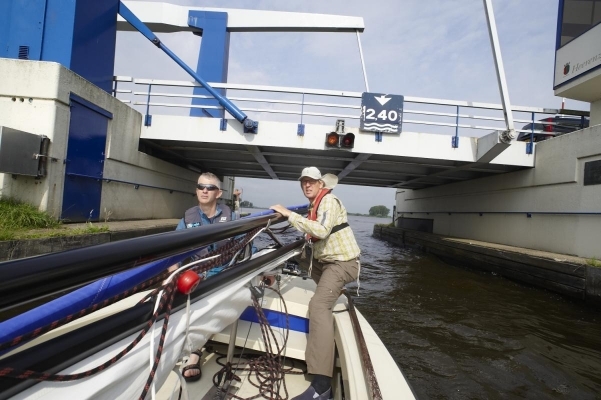 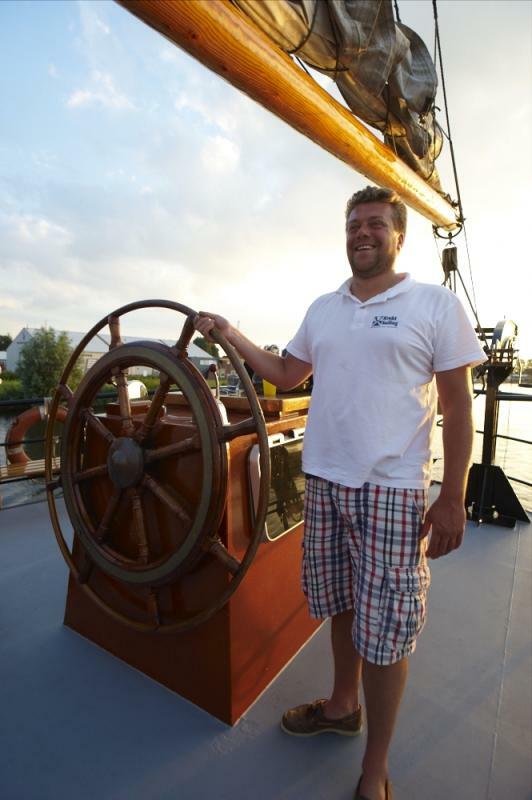 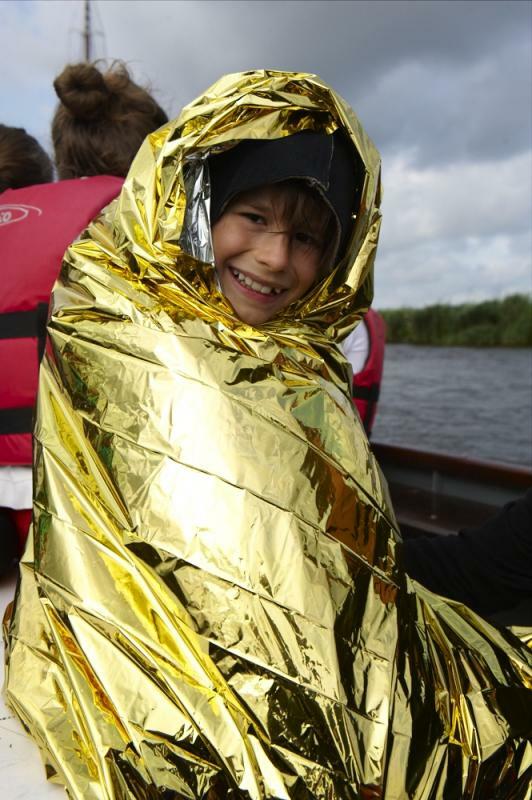 Der Großsegler begleitet die kleinen Jollen als Mutterschiff durch das holländische Friesland. 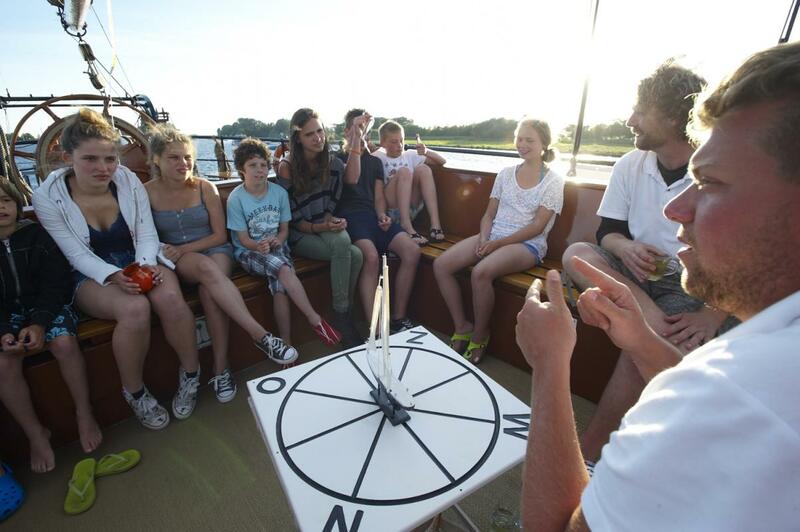 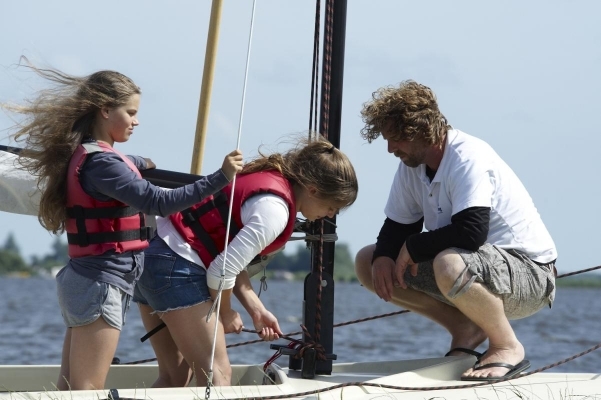 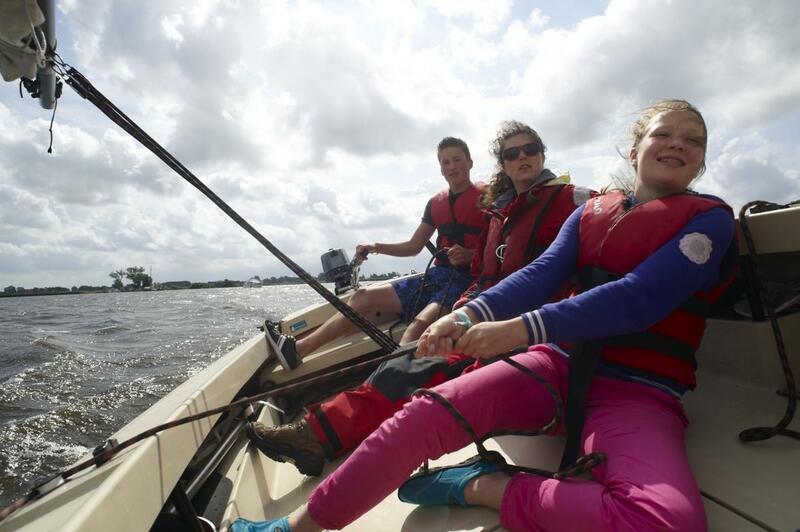 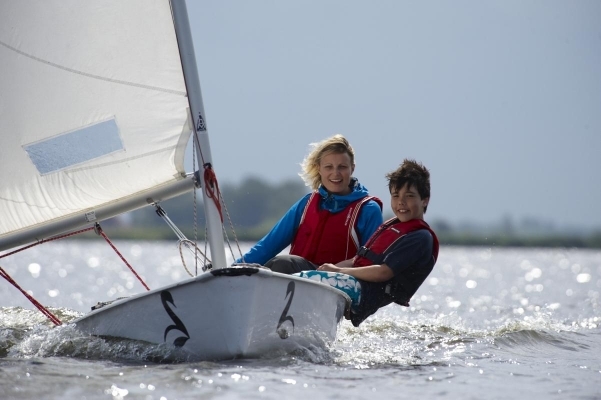 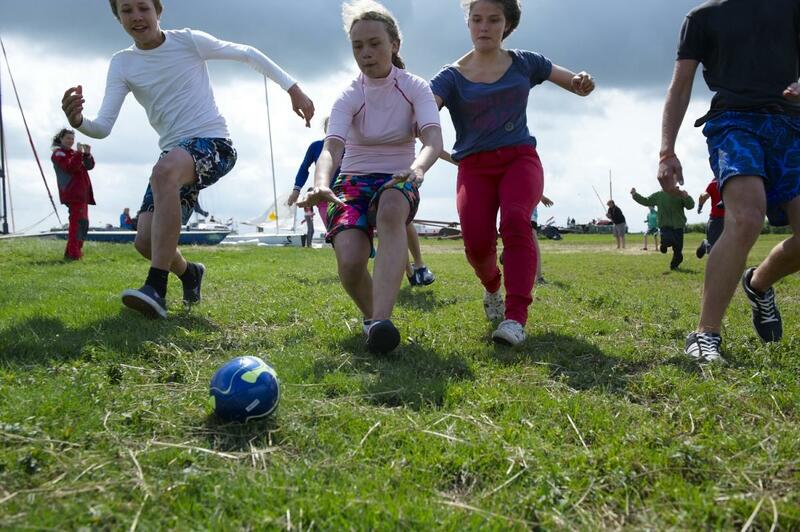 The reportage: learning to sail for families. 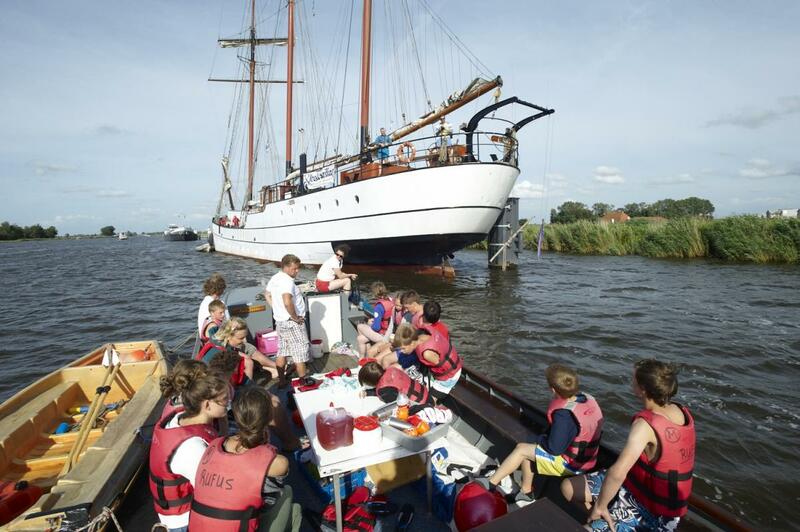 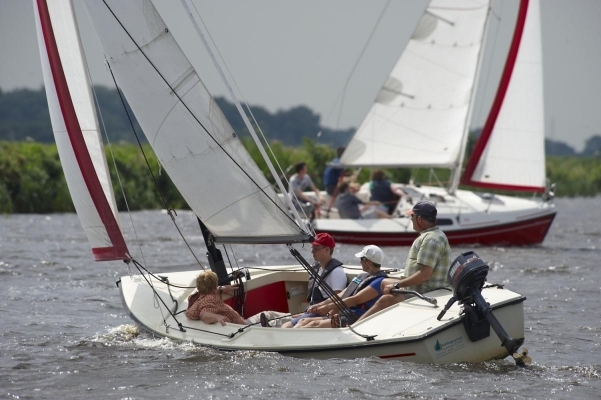 The tall ship is accompanying small sail dinghies as a mother ship through the Dutch waters of Friesland.